Last week, Bridgewater Poultry in Victoria announced it was conducting a recall of select free-range and barn-laid eggs across NSW, Victoria, Tasmania and South Australia due to the potential presence of Salmonella Enteriditis (SE). This recall is linked to an ongoing NSW outbreak investigation which resulted in the recall of eggs in March this year and in September last year. The situation is being closely monitored by food regulators, health authorities and Chief Veterinary Officers. How can I ensure my eggs are safe? While no farms in Queensland have been implicated by this outbreak investigation, and the recalls have not related to eggs supplied into Queensland, it is important that consumers ensure that the eggs they purchase are sourced from egg producers and processors that meet the requirements of the National Primary Production and Processing Standard for Eggs and Egg Product (National Standard). Under Queensland’s Egg Food Safety Scheme, introduced in 2005, all Queensland egg producers and processors are required to be accredited with Safe Food Production Queensland and demonstrate on-going compliance with the National Standard. 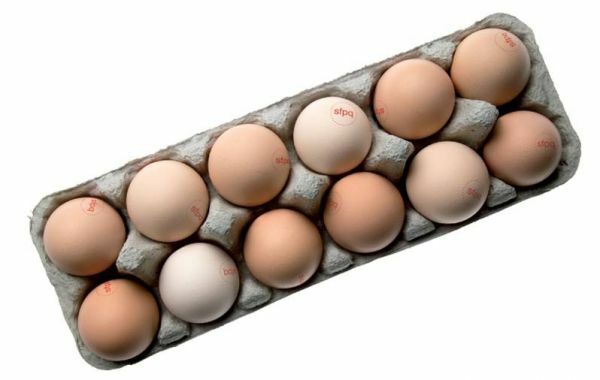 All eggs supplied by accredited businesses are stamped with a unique identification, which is also included on cartons, to allow for complete traceability through the supply chain. Consumers and other food businesses can verify that eggs have been produced or processed in Queensland by an accredited egg farm by using our Egg Register, located on the Safe Food website. Search for the unique identification on your eggs/carton to see what farm your eggs have come from. If consumers see any unstamped eggs being sold in Queensland, they are encouraged to notify Safe Food via phone (07 3253 9800) or email (notify@safefood.qld.gov.au). All notifications are treated in-confidence and investigated promptly by Safe Food. SE is different from the type of Salmonella most commonly associated with eggs (Salmonella Typhimurium) that is found on the shell. While uncommon in Australian poultry flocks, SE can have significant consequences due to its ability to infect the reproductive tract of poultry and contaminate the internal contents of eggs. As such, clean eggs, rather than just dirty or cracked eggs, can become contaminated. Can Salmonella make me sick? Salmonella can cause salmonellosis in humans; symptoms of which can range from mild gastroenteritis, to fever, headache, diarrhoea, abdominal pain, nausea and vomiting. Patients usually recover within a week, though the illness can lead to systemic illness and other longer-term conditions. The severity of salmonellosis depends on the number of bacteria ingested, the age of the individual and their general health. Young children, the elderly and anyone with a weakened immune system may be more severely affected than others. If you have immediate health concerns, please contact your medical professional in the first instance.